This place comes from the land down under, where the coffee’s hot and halloumi’s wonder-ful… ahhh the rhyme nearly worked. I haven’t been for brunch in London in ages, so I wanted to find somewhere that wasn’t going to disappoint, so I did a bit of google research before hand and this place had loads of great reviews… plus I wanted everything on the menu, which is a great sign. This is an Australian run cafe brought to London in 2008 and offering up Ozzie cafe culture. So we headed over to Fitzrovia to find it. It is tucked away in Charlotte Place, but you can’t miss it, because it is the busiest place along the street. We had a short wait but didn’t mind at all as we kept seeing the delicious food pass by. First up we ordered coffee, I have only recently started drinking coffees, but only extra milky ones, and this one was so great!! 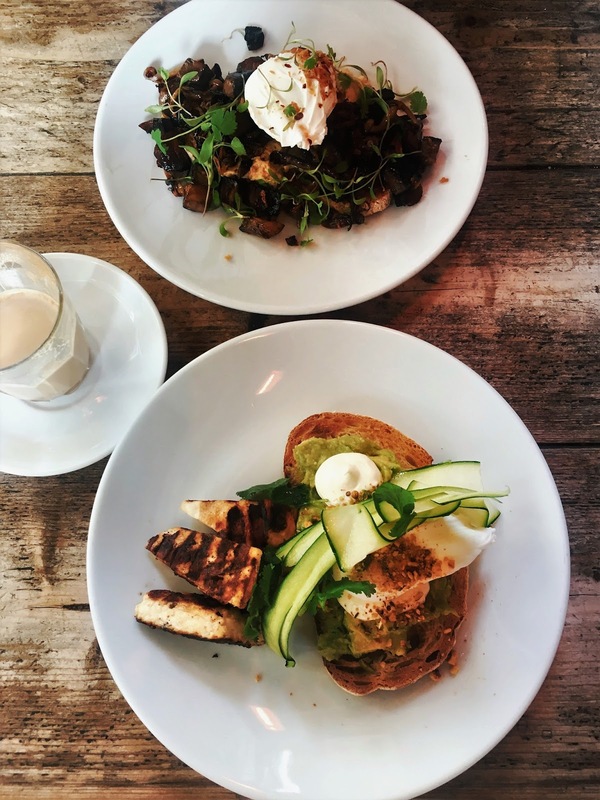 Next up was the food, I ordered smashed avocado on sourdough with a pouched egg, halloumi and the most yummy hazlenut and cream based extras!!! SO GOOD! My boyfriend ordered wild mushrooms on sourdough and that was equally as good, I think even mushroom haters should give this one a try! 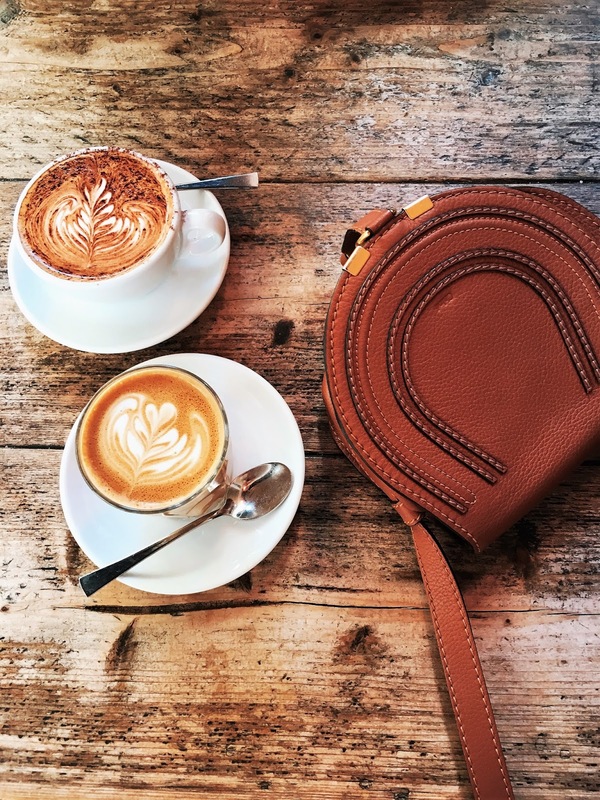 Weekend brunches are the best way forward… more of these to come soon I think!